Hillside At Stoney Creek is a high end community located in Littleton and offers luxurious apartments and homes combined with an unbeatable collection of amenities for its residents.The homes in Hillside At Stoney Creek have open floor plans on large lots. Many have covered patios and hardwood floors. Stony Creek has an active and dedicated HOA that sponsors community events year round. 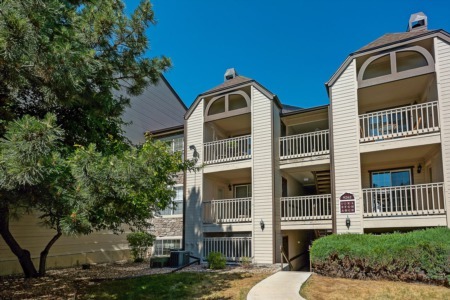 Stony Creek rests upon immaculately landscaped property and is right off of C470, providing convenient access to all of the major shopping outlets. The modern fitness facility and pool are recreational mainstays for residents here. Hillside At Stoney Creek also features a basketball court for its residents along with multiple playgrounds for children. There is even a clubroom that is equipped with a media room that includes wireless internet for conducting business. More recently, Hillside At Stoney Creek has added a water park to its collection of amenities that are available to all of its residents. Hillside At Stoney Creek is located right near the AMC Bowels Crossing and Red Rocks Amphitheater. This neighborhood is also located right near Chatfield State Park, which is a scenic place for camping, fishing and hiking. Residents that enjoy skiing will absolutely love the Loveland Ski Area and Keystone Ski Resort, which are the sites of some of the best skiing and snowboarding in all of Colorado.